Friday August 2nd, I will be spinning at The Goodnight from 10pm-2am. I hear there is a new dance floor for your pleasure. There is always bowling, billiards, ping-pong, dining and general revelry. 2700 W Anderson Lane. Pleased to enjoy you. 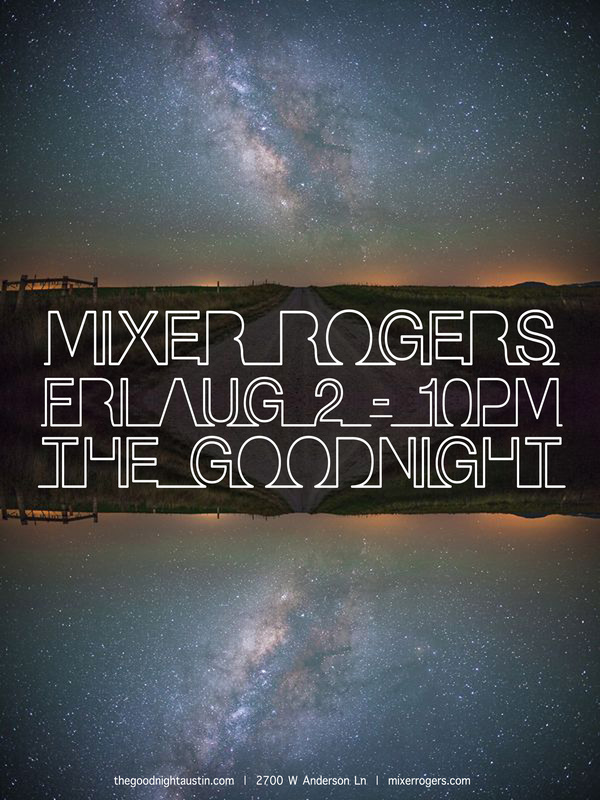 This entry was posted in Shows and tagged ATX, aug 2, Austin, DJ, Goodnight, Mixer Rogers, Music, thegoodnight. Bookmark the permalink. This is an awesome poster!! Why thank you! I am constantly admiring your posters as well.